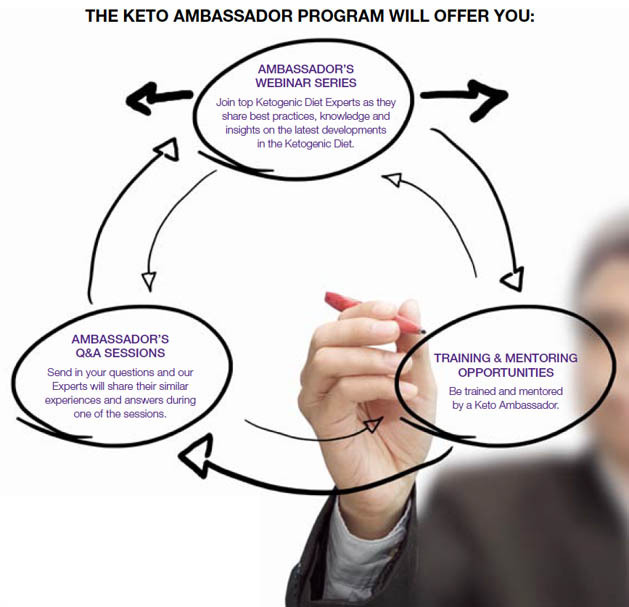 and patients, we are proud to announce our first ever Keto Ambassador Program. Vanessa received her BS in Biochemistry and Cell Biology from the University of California San Diego. While working in the pharmaceutical and research industry as a peptide chemist, she pursued a master's degree in Nutrition and Public Health from Loma Linda University. For over 9 years, Vanessa has been providing services to children with intractable epilepsy and other disorders at Rady Children's Hospital, San Diego. Vanessa has found a true passion for the ketogenic diet, its mechanisms, and its efficacy. She also enjoys cooking and baking and offers ketogenic cooking classes for keto families. Vanessa provides support and mentorship to other dietitians in training of the ketogenic diet, including speaking at several conferences and meetings. She hopes to continue training other dietitians and inspiring them to have a similar passion for this amazing medical nutrition therapy. Lindsey Thompson is a registered dietitian in the Comprehensive Epilepsy Center at Children's Mercy Hospital in Kansas City, Missouri, and is currently in pursuit of her PhD in Nutrition from the University of Kansas Medical Center. Lindsey is passionate about the ketogenic diet because of the remarkable difference it makes in the lives of patients, families and caregivers affected by epilepsy and other neurological disorders. Many of her patients seek the diet as a "last resort" and it brings Lindsey great pleasure to deliver optimal outcomes for a family in need. While the concepts of the ketogenic diet date back to the early 20th century, Lindsey believes we are just now paving the way for modern medicine to seek and employ diet and nutrition as a first-line treatment for both chronic and debilitating disease states. Robyn Blackford has worked as the ketogenic dietitian at Lurie Children's in Chicago since 2005. Robyn follows over 180 patients on the Ketogenic Diet and other modified diet therapies for epilepsy. She has a passion for setting up families to be successful with following diet therapies for epilepsy and working in conjunction with her Keto Team. Robyn has had several publications on the Ketogenic Diet, including being an author for the International Consensus Statement for the diet, and routinely gives presentations about the diet to a variety of audiences. She has two children of her own, which she says helps her tremendously in finding ways to support patient families on medical diets. You can follow Robyn on Twitter @KetoQueen. Zahava Turner is a Senior Clinical Pediatric Dietitian, Board Certified in pediatric nutrition working at the Johns Hopkins Hospital in Baltimore, Maryland since 2005. She received her BS and completed her dietetic internship at Queens College CUNY in New York with an emphasis in clinical nutrition and worked for 2 years as a pediatric dietitian at Schneider's Childrens Hospital. Zahava specializes in using the Ketogenic diet for infants and children with epilepsy and has spoken both nationally and internationally at several conferences on the ketogenic and Modified Atkins diet for epilepsy. She is a co-author of 18 publications and the widely-referenced book Ketogenic Diets 5th edition. Zahava lives in Baltimore with her husband and three children. Stacey Bessone is a dietitian at the Neuroscience Institute, Department of Neurology at All Children's Hospital, Johns Hopkins Medicine in St Petersburg, Florida. Her practice is devoted exclusively to all forms of the Ketogenic diet, in both inpatient and clinical settings. Stacey received her BS degree in Dietetics and Nutrition from Florida International University in Miami, Florida, and has concentrated her 17 years of dietitian experience in pediatrics. She routinely provides presentations to physicians and residents, and has spoken nationally on the classic Ketogenic diet. Stacey has a passion for the diet and educating others to increase awareness of dietary therapies as a viable treatment option for epilepsy and other neurological disorders. She lives in Tampa with her husband and son.